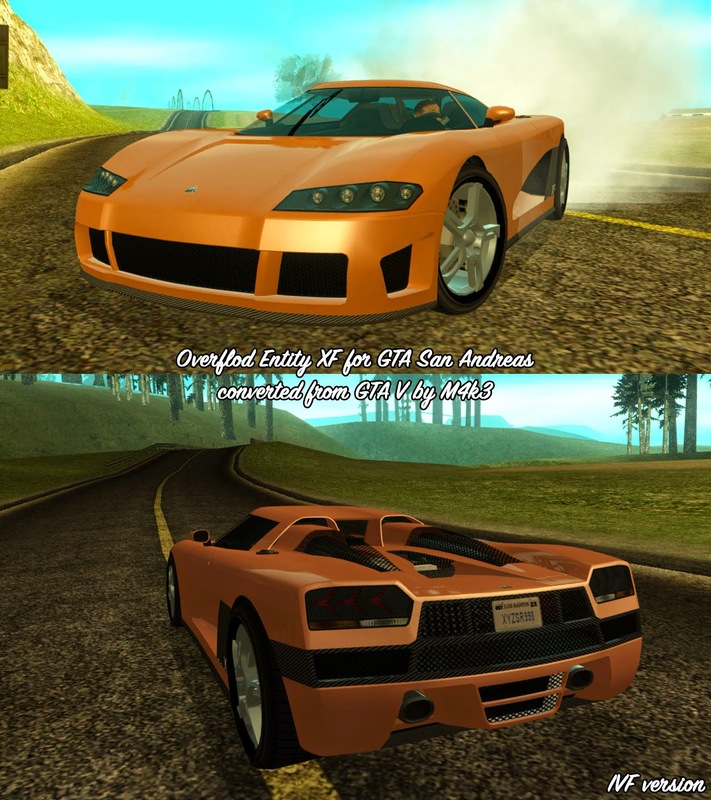 Overflod Entity XF from GTA V converted and edited to GTA San Andreas by M4k3. 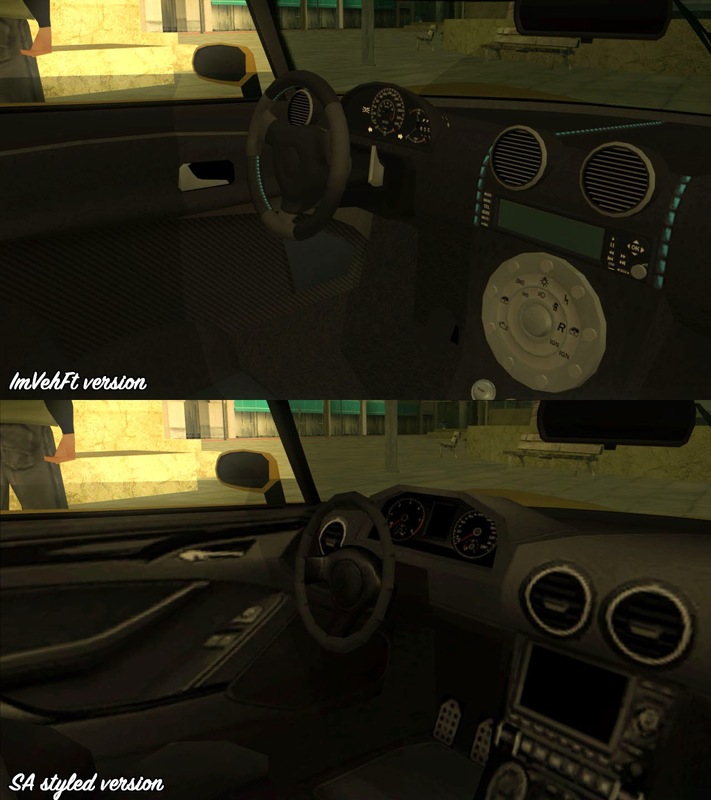 -GTA SA styled reflections for both versions. -Paintjobs cannot be transparent (must be without alpha channel).